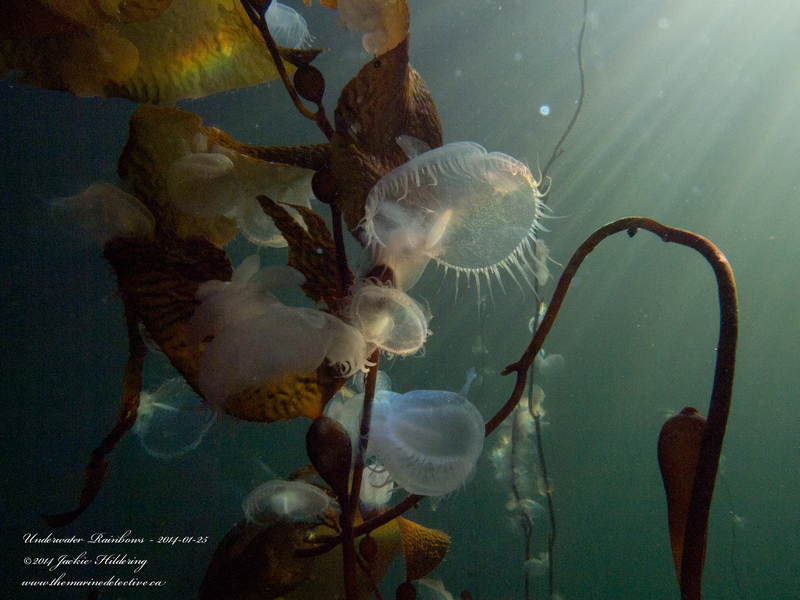 The January sun streaming down, the light refracted against the hooded nudibranchs . . . the underwater rainbows?! Hooded nudibranchs are already such ethereal, other-worldy creatures, to see the rainbows dancing against their translucent bodies made me catch my breath and desperately want to capture the beauty for you. 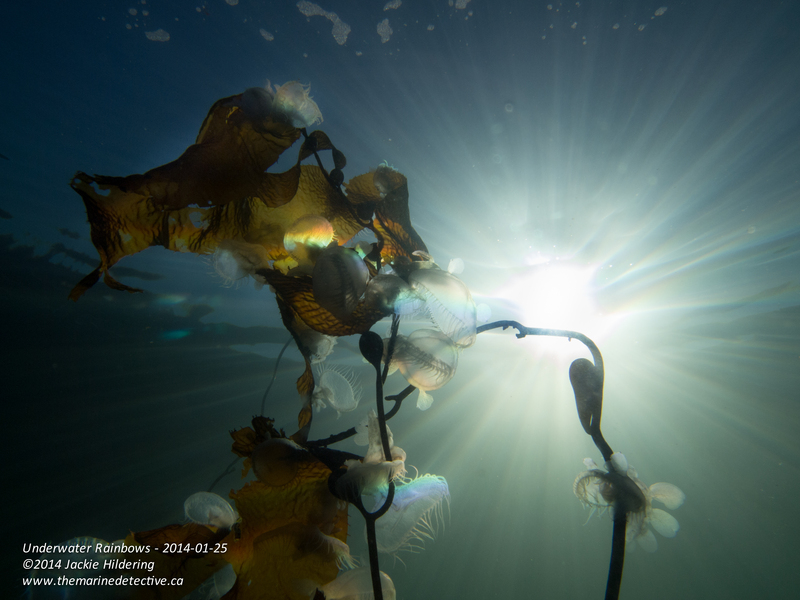 May you dream of underwater rainbows and – maybe- fall even a little bit deeper in love with the NE Pacific Ocean. 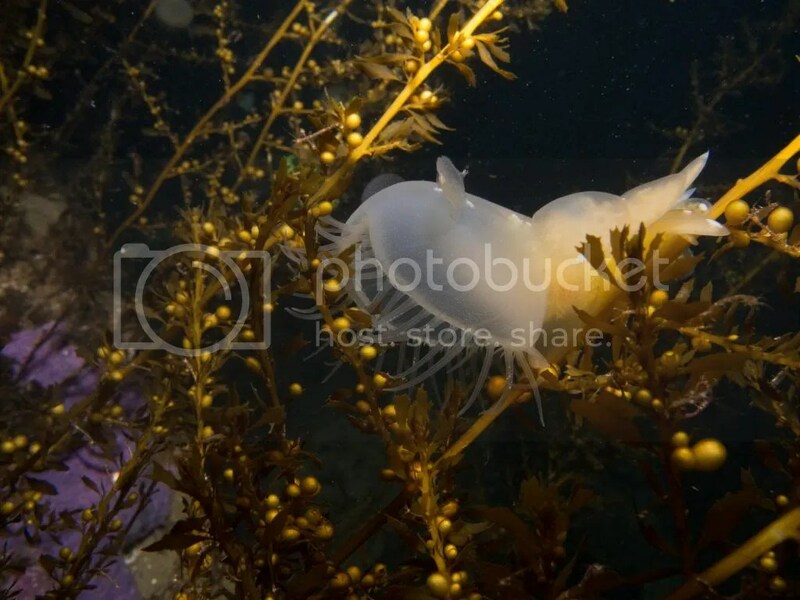 For information on hooded nubibranchs (includes images and video of them swimming and their eggs), please see my previous blogs at this link. Wow, nice photo’s. You are really good at that. I am jealous. 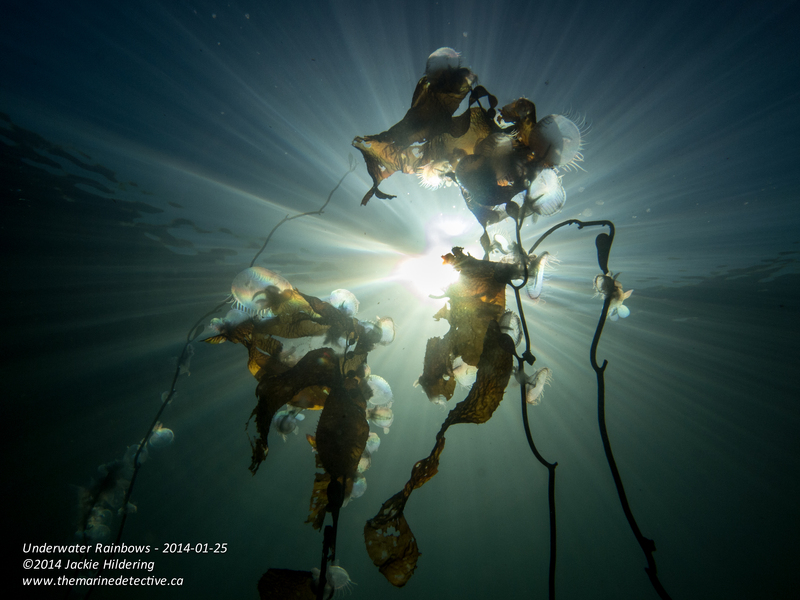 What your uw photography captures (very often the world of the small) is simply stunning! 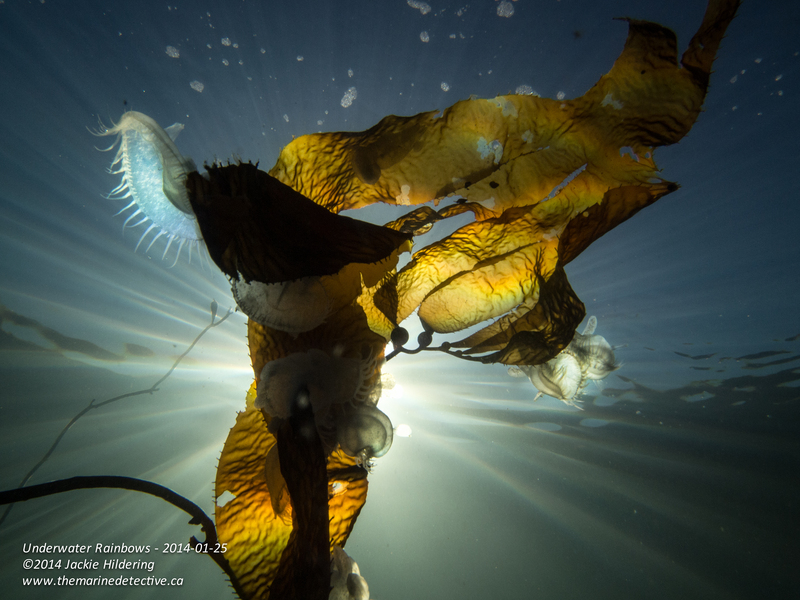 Indeed – hooded nudibranchs on bladder chain (kelp). Glad the blog was helpful in your IDing them. Such beautiful photographs of these ethereal creatures. I met my first hooded nudibranchs just this afternoon while exploring tidal pools along a local craggy beach here in Esquimalt. I grew up on the pacific coast and love being blown away by finding new-to-me species. Thanks to the Internet and sites like yours, I know a little more about this awesome planet. Will wonders never cease!? I sure hope not. Thanks for sharing your detective work and spectacular photos. And thank you so for the enthusiasm and feedback that helps fuel my efforts Cathy!